Lightsabers fly off the screen, ships jump out at you and laser blasts fly pass your fingers. Lego Star Wars 3 The Clone Wars for the Nintendo 3DS is one of the best games to own on the this device. The game designers did a great job on the 3D rendering effects, it's well balanced and not over done. 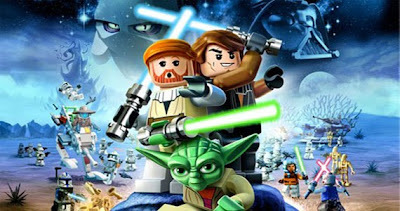 The game is solid brick for brick and the story is humorously handled in true Lego fashion making fun of itself and the Star Wars Clone Wars animated series. You can choose from several characters to play at almost anytime except for sometimes in space combat, which is again nicely handled. There is plenty of combat and the usual amount of puzzle solving that is engaging without being enraging. Lego Star Wars 3 The Clone Wars for the Nintendo 3DS really shows off what the 3D effect can do. I give this game 9 lightsabers out of 10.